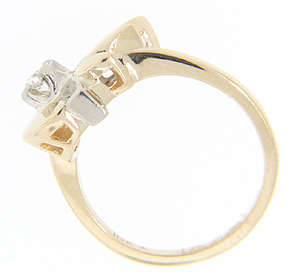 This custom designed 14K bi-color gold ring holds a .11 carat diamond at the center. 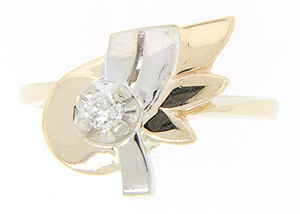 White gold, angular lines run perpendicular to the ring’s wing shaped yellow gold petals. 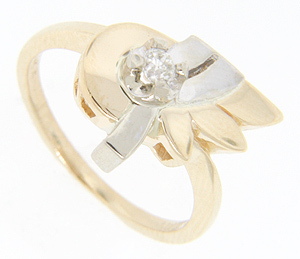 The estate ring measures 13.5mm in width. Circa: 1960. Size: 5 3/4. We can resize.